The Saudi kingdom holds the anti-terrorism flag, at a time it plays a prominent role in nurturing and sponsoring terrorist organizations ranging from Afghanistan through to Iraq and Syria, and all the way to Yemen … not to forget declaring the death of ISIL* emir of the province of ‘Aden and Taiz’ in Yemen, Abu Obeida Al-Kazmi, along with 62 of his operatives, which will not be the last evidence of such involvement. Al-Kazmi was killed in the attack carried out by the Yemeni army and Popular Committees against the headquarters of leadership of the Saudi-US-led aggression forces in Bab al-Mandab area, which also killed the commander of the Saudi special forces in Yemen, Colonel Abdullah Al-Sahyan. 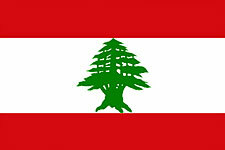 Riyadh announced that 34 countries, including Lebanon, are joining the alliance. Among its members are the State of Palestine which has no army to use in confronting the terrorism of the Zionist occupation over its territory, and Libya whose factions are still disputing over undefined power. In addition to the “Republic of Yemen” which the Saudi Arabia abbreviates in a President who is fugitive from his homeland, unable to do anything but to praise the Kingdom’s crimes against his own people, and its destruction of Yemen’s infrastructure, at the forefront the national army. In Lebanon, the State Pillars have been carrying the banner of self-distancing for a long time, a pretext that they formed to escape from expressing a position towards the Syrian crisis, which cast a shadow on the Lebanese domestic politics. “Self-distancing” was the magic word which has long been echoed by those pillars to face the voices calling for the liberation of occupied Lebanese parts from the terrorist organizations, particularly Arsal eastern region and its barrens. So what terrorism bin Salman is speaking about? How effective such an alliance will be? And what are the Saudi classifications for terrorism? *ISIL is the common acronym used to refer to the so-called ‘Islamic State of Iraq and the Levant’ takfiri group operating in the region, mainly in Syria and Iraq.